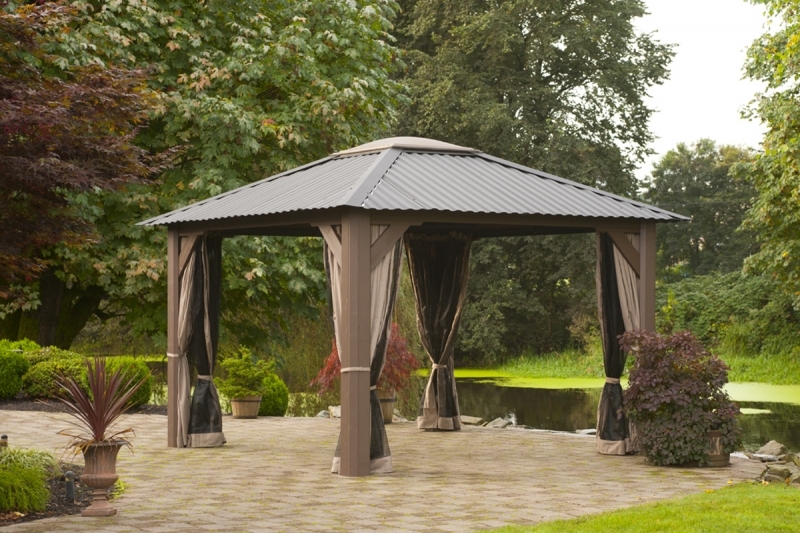 The Victoria by Visscher is one of the most popular models we offer – and for good reason. 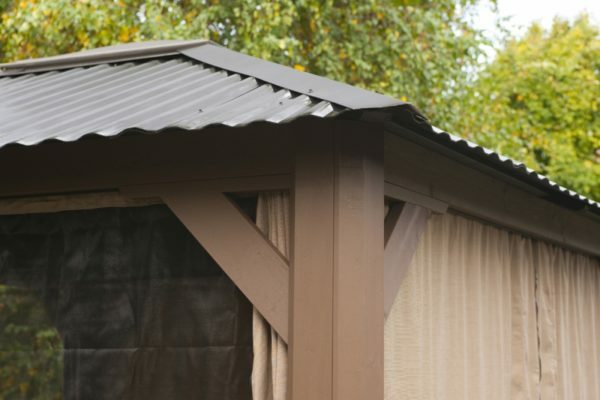 This 11×11 structure has a sturdy frame, skylight dome and screen drapes for privacy and bug control. 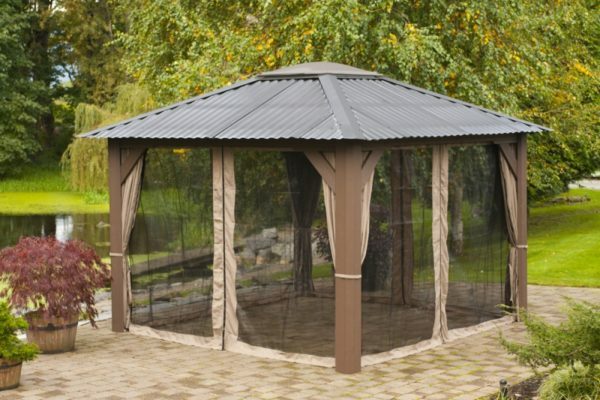 This is a perfect addition to your exclusive backyard entertainment.